Beijing-born and based artist Li Songsong is probably best known for his thickly applied contemporary oil paintings; some on canvas and others on aluminum panels. 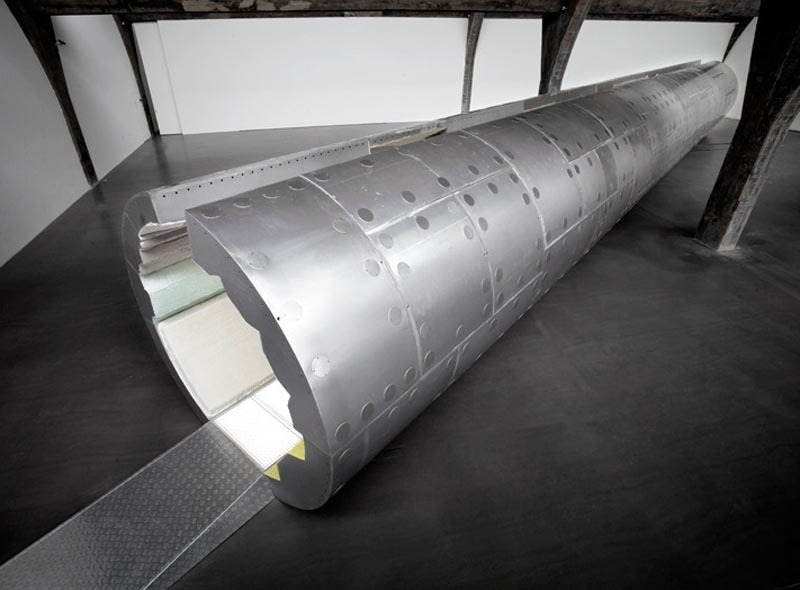 In his latest work, a tunnel-like installation at Pace Beijing, he inverts his usual style, leaving the aluminum as the exposed exterior, while the interior is made up of 91 sections of very thickly applied oil paint on differing shapes and textures in varying colors. The effect would seem to be a cross between entering a stripped away space shuttle and a 3-dimensional abstract painting. Cool. 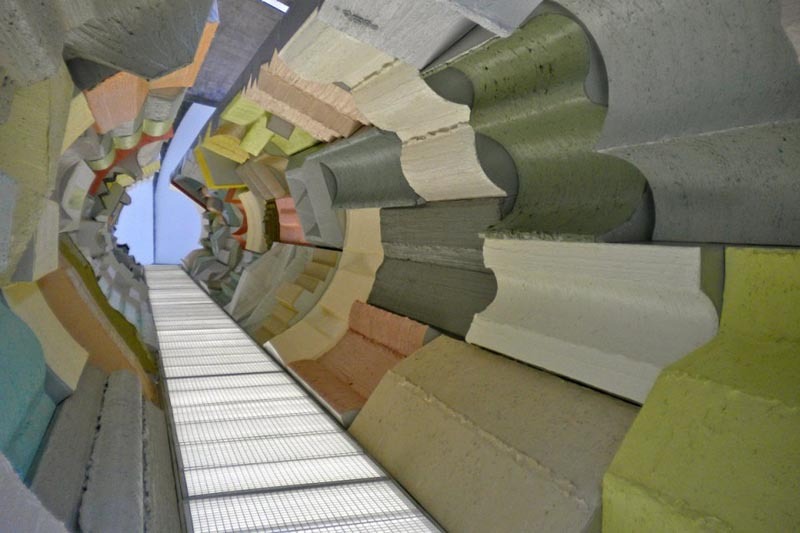 Photos courtesy of Pace Beijing. Second photo Blake Gopnik for The Daily Beast. This entry was posted in Art, Event, Just Plain Cool, Stuff We Like. Bookmark the permalink.